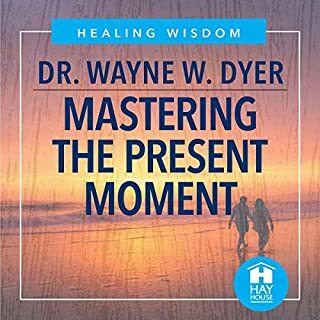 This soul-nourishing compilation of Dr. Wayne Dyer’s enduring wisdom includes lectures, guided meditations, and his personal insights into ancient texts such as the Tao Te Ching and the Old Testament. 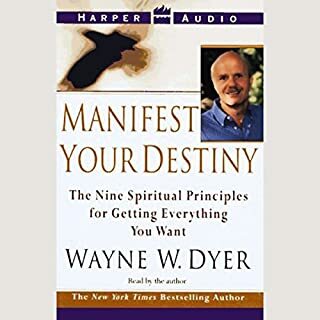 Best-selling inspirational author Dr. Wayne Dyer can help you to achieve your highest goals by showing you how to attract your needs and desires into your life. 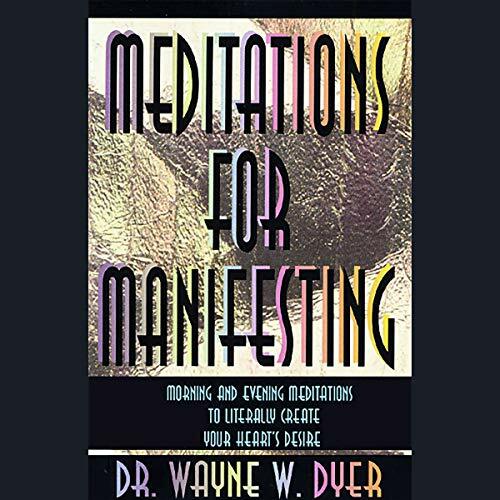 Dr. Dyer's stunning work focuses on the ancient principle of manifesting. 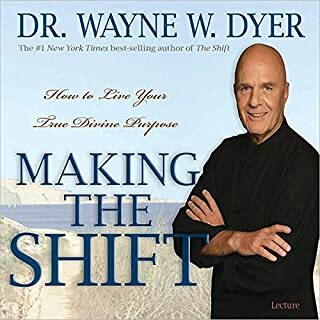 With his trademark wit, wisdom, and humor, best-selling author and lecturer Dr. Wayne W. Dyer explains how we can evolve from the lowest level of consciousness (ego) to the highest (unity). 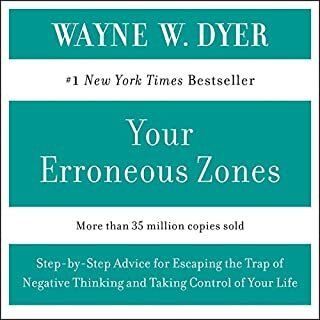 Dr. Dyer starts out with a challenge from A Course in Miracles: "You don't have any problems; you only think you do." He goes on to illustrate how the mind can control both physical and emotional well-being, all one has to do is create healthy, positive molecules and move away from negative thoughts. 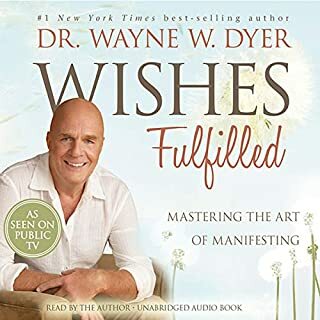 This audio collection is filled with Dr. Wayne Dyer's incomparable wisdom. It guides us to new levels of self-awareness. 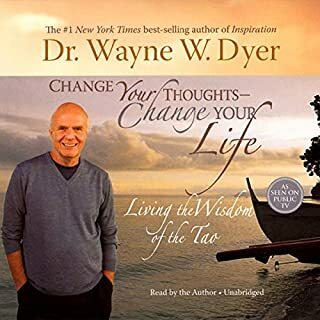 Dr. Wayne W. Dyer takes you on a compelling journey through all 81 verses of the Tao, as he offers affirmations and a unique meditation technique that you can directly apply to your life. By actually repeating the word Tao as a mantra, you will subliminally attain a level of wisdom and peace that you may have never experienced before. Do the Tao now...and usher in an entirely new way of thinking! 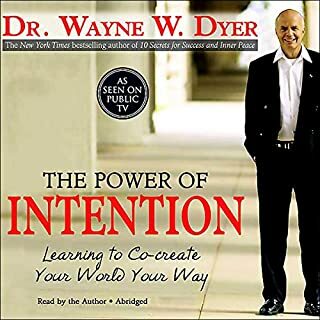 ©1995 Wayne W. Dyer (P)1995 Hay House, Inc. 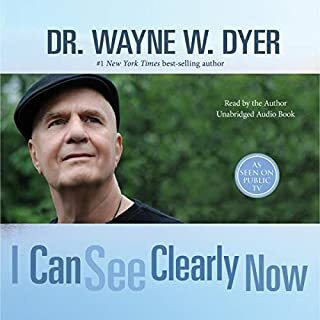 Loved this meditation with Dr. Wayne Dyer . An angel sent to earth and back in God's arms. I will enjoy this meditation every morning and evening . I highly recommend it. It came to me at the recommendation through one of Doreen Virtues books . Thank you. 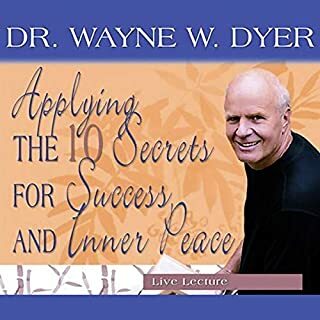 Wayne Dyer is sadly missed. awesome meditation suitable for everyone. this truly works and I recommend you try it. Excellent- life changing. Must commit to using it if you want to get the true benefits from it but so worth it. An interesting take on Dzogchen meditation. It is a good beginning for someone who doesn't have their own intentions or affirmations and need some hints as to how to go about it. The audio is audiotape quality. Overall, it is good for someone who is starting out on the path to conscious intention. Some people said they thought it was 'noise' - but they missed the explanation in the beginning. 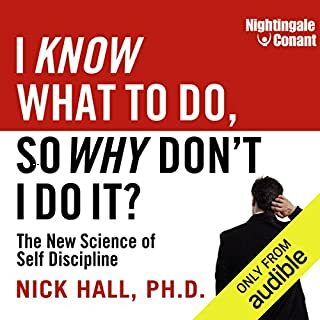 I also think when you're 'in the zone/looking for guidance', then its just what the doc ordered; but if you're just looking for a 'background music' type of meditation, then this won't do. Glad I got it on sale! I would hate to pay full price for a one hour audio of a grown man moaning. 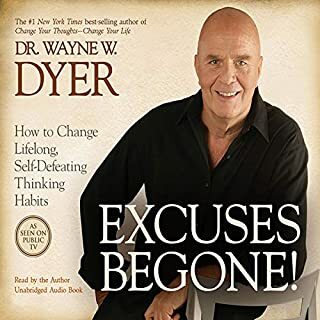 No offence, Dr. Dyer, but it is downright painful listening! 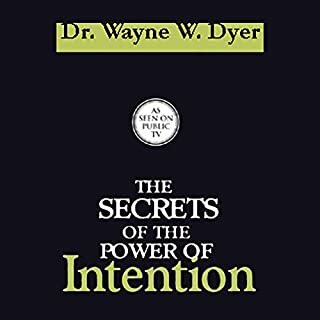 Dyer offers little solid information aboout manifesting anything. The first 10 minutes he uses to applaud his method and another 5 minutes describing his mode as "radical," "ancient," and terribly "secret." I can understand the need for secrecy: few people could suspend belief, dignity, or sanity long enough to spend hours sitting on the floor "aaahhhhing," as he advises. I recommend Shakti Gawain and Louise Hay for more insightful and aurally-pleasing meditations. 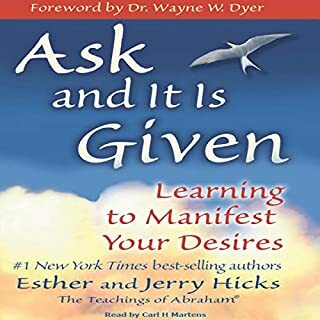 I would like to know more behind the reasons why it works, but I've seen amazing changes in my life, relationships, inner dialog, creativity and more using the methods here. Highly recommend. First of all a big sorry to Dennis from California, your statement about disturbing Moose Calls was spot on. Unfortunately I didn't listen, totally my fault. For others thinking about buying this read all the negative reviews before you do so. They really do cover everything you need to know. I cant believe anyone could find this relaxing, simply mind boggling. In my opinion and obviously some others opinions its not worth the money or waste of your time. Please note there is more than one page of reviews, look back through them all taking special note of all the negative ones that I previously missed. You wont regret it. Note: I realize everyone has different opinions and some people may ????? find this tape relaxing but if you buy this then find its bad write a review to say so. (I usually don't bother) But when somethings this bad people need to be warned. I realize that people have different opinions but I really have to wonder if some of these poitive reviews on some books are written by people with an agenda - Enough said I dont want to upset people and I accept this may not always be the case. I really do hope this helps some of you. Help! Listening to Moose calls for an hour is disturbing at best. I wasn't expecting the irritating breathing, lip smacking, swallowing, saliva, moist-mouth sounds throughout the recording. The recording it 10 minutes of talking about "this tape" and the rest is listening to Mr Dyer say AHHHHHHHH & OMMMMMMM. This is not a visual meditation recording. What totally shocked me was that this is a HIGHLY RELIGIOUS recording. Once you reach Chapter 3, it's all about God. To each his own, but this should clearly be in the description. Dr Wayne Dyer of course! He was awesome. relaxed, powerful, lovely tone, strong, reassuring and real. 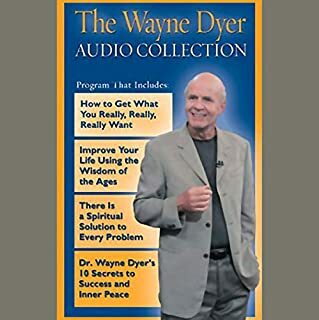 Have you listened to any of Dr. Wayne W. Dyer’s other performances? How does this one compare? I hesitated buying due to other listeners negative comments, but went with my gut feeling, so glad I did as I feel this was incredibly powerful. It is spiritual, not religious and it is important to embrace the whole experience with an open mind and by joining in vocally. Also, I meditated with a friend and we agreed this added to the experience. LOVED IT! THANK YOU! 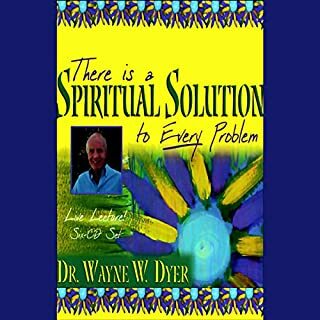 THANK YOU THANK YOU DR DYER! You won't find a better meditation program for manifestation. Dr Dyer explains the process before taking you deep into meditative state. You will thoroughly enjoy this. The Best!!!! 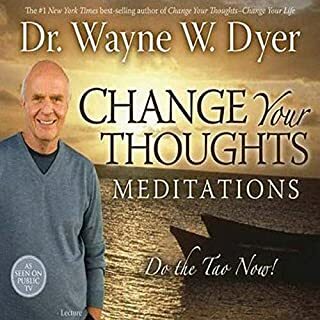 Thank you Dr. Wayne Dyer for this fantastic meditation audio! 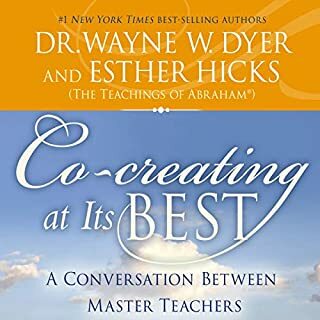 I love all of Dr. Dyers books and audio he is a gift to the world! 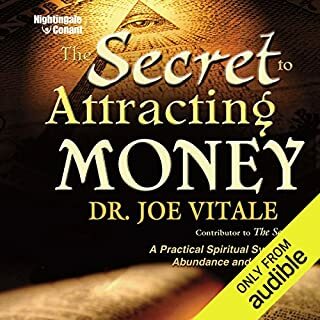 I use this audio everyday and it has changed my life! You have to have more control on your thoughts than the author is suggesting but it helps to have someone talking to you when you are medidating as it keeps you on the track. This meditation process is a clear step by step of how to get the things you want, to show up in your life. Wayne demonstrates both a morning and bedtime meditation and the reason why they work. Very enjoyable and good value for money. Excellent easy to follow meditations. AM and PM versions, uplifting and intuitively 'right' affirmations. I love Wayne's voice anyway - not the first audio of his I've bought. He's so soothing. loved it Wayne's voise is very soothing. the content is soothing too.recommendation thanku Wayne. Simple, and wonderful. Although, some knowledge of meditation could be helpful, not essential. I do this morning and night, not always with the audio the vibrations of sounds really resonate within me dimensionally.